Northrop Atrium. Photo by Patrick O'Leary. Northrop Auditorium. 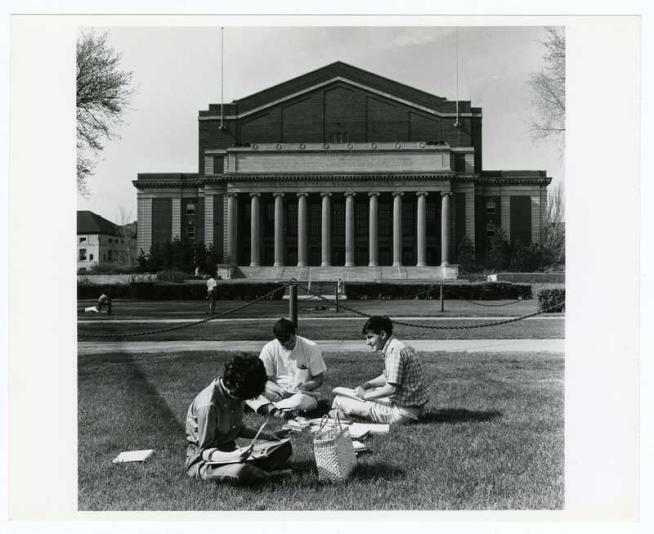 Courtesy the University of Minnesota Archives. 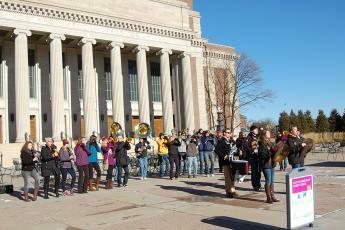 Northrop has reopened! Northrop Plaza. Photo by Tim Rummelhoff. The newly revitalized Northrop is an epicenter of discovery and transformation that connects the University of Minnesota and communities beyond by celebrating innovation in the arts, performance, and academics. Music, Art, Dance, Performance, Video, Film, Discussion, Tours and more! 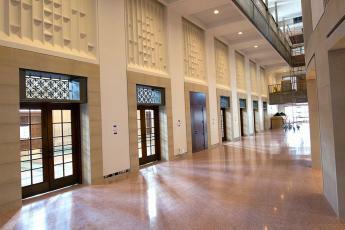 Come explore the newly renovated Northrop! Tour the building with the architects from HGA, hear and see the old within the new, and the fantastic new. Experience Vexations by Erik Satie, on the Carlson Family Stage and throughout the building. Be a part of the building-wide (and beyond) spontaneous performance with Supergroup and Brute Heart, Circumstances for We. Find the filibuster and learn something new, every half hour. Taste some of the 100 courses served on the mall by Scott Pampuch and a team of food artists. Meditate or walk amongst the instruments in Memorial Hall where the Sumunar Gamelan Ensemble will play until midnight. Capture your stories with HECUA, share a stunt-filled phenomenological moment with WDAMOS, and more. Check our website for schedules and descriptions.